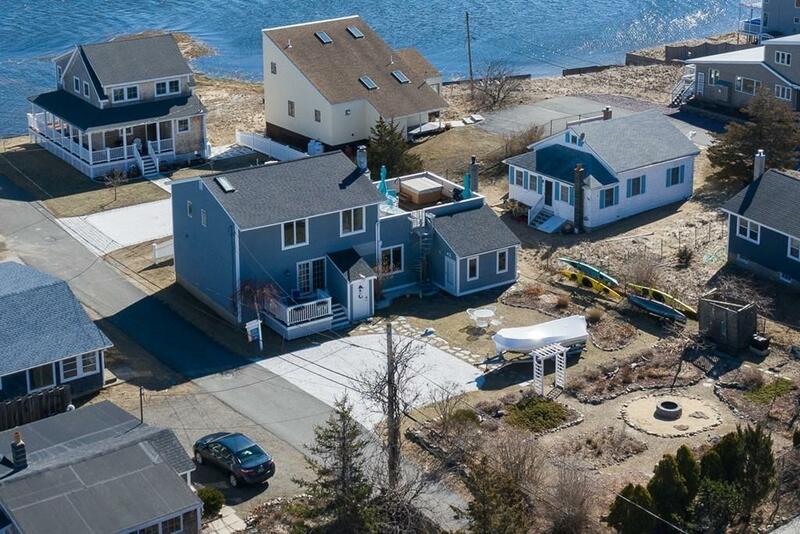 Live at your own resort in this one of a kind Plum Island property on a rare double lot. 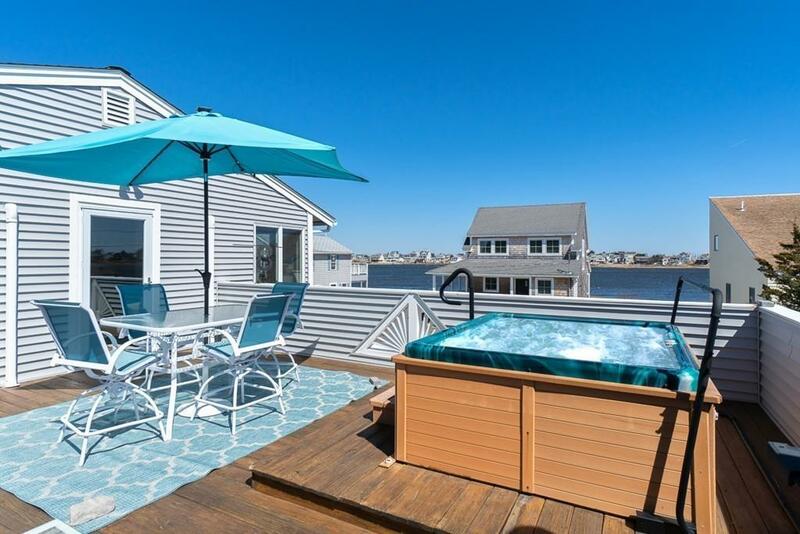 Relax by the fire pit amidst tranquil perennials or retreat to the hot tub on the expansive upper deck and enjoy incomparable sunrises and sunsets. 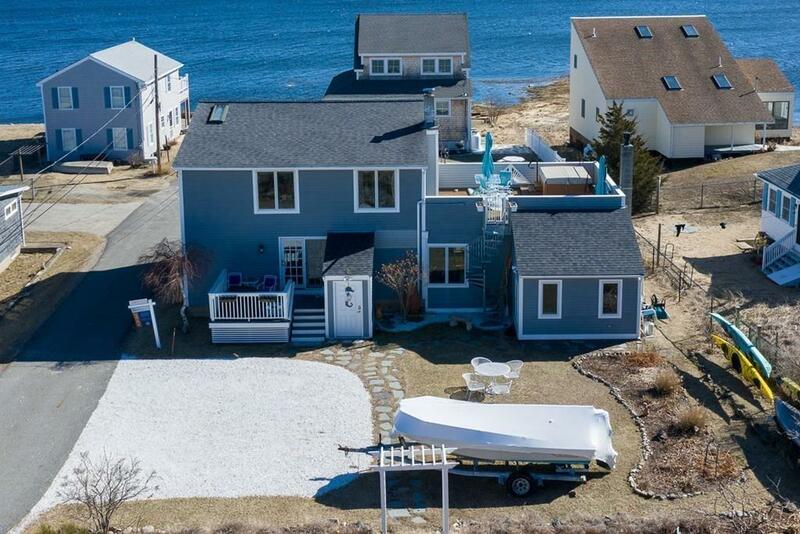 Enjoy water views from every window in this light filled contemporary. With water access to the basin only steps away you can swim, kayak, or board your moored motor boat and head anywhere. Bring the family. This turnkey home features Anderson windows, newer 50 year roof, 4 bedrooms, 2 baths and a layout perfect for entertaining. First floor offers a mudroom, bedroom, bath, white kitchen with Carrara marble and s/s appliances open to the dining area. The large living room w slider is filled with light by day and is accented with a field stone hearth and gas fireplace for cozy nights. Ascend the open staircase to a full bath, spacious Master and two additional bedrooms. 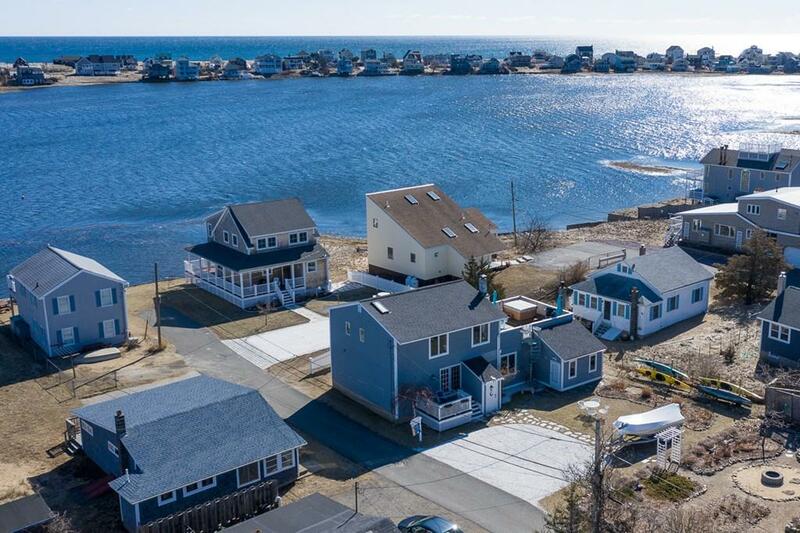 With views of the Basin, Joppa Flats and Newburyport you may never want to leave. Listing courtesy of Douglas Danzey of Bentley's. Disclosures Flood insurance is in Place At The Subsidized Rate And Transferable. Buyers To Assume The Water & Sewer Betterment. Sale is Subject To Sellers Finding Suitable Housing. Listing provided courtesy of Douglas Danzey of Bentley's.